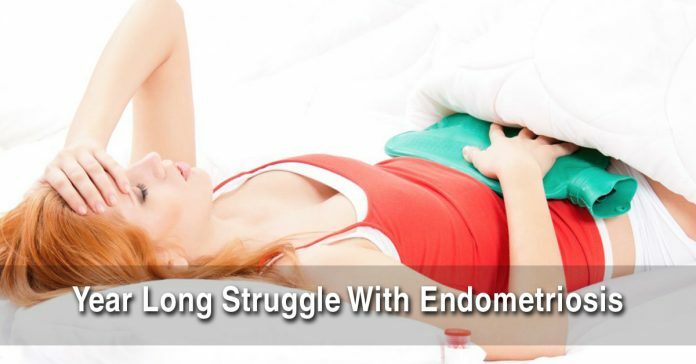 I don’t know where to begin really, I was only diagnosed with endometriosis last year, but it’s been something I’ve suffered since I was young. 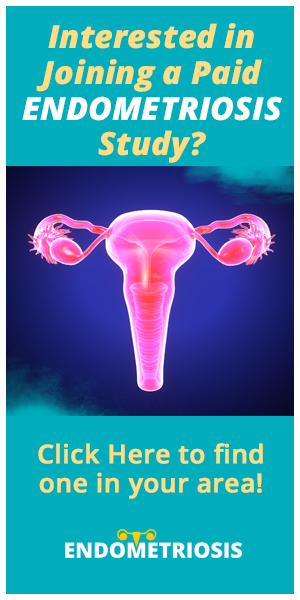 I developed early and started my period at the age of 10 and have had problems ever since, I was always fobbed off by health professionals saying it was menorrhagia, IBS, UTI’s, etc. 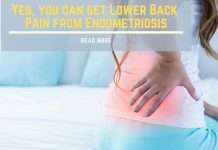 Even though 4 women in my family suffer from endometriosis, and that I had miscarriages in the past, I was always made to feel like it was in my head with them and over time, this caused me to also suffer from depression amongst other things. Things were getting so bad I was constantly off work, or unable to concentrate in work and messing up, constantly getting viral infections, water infections would always flood on my period and I would get blinding episodes of pain which caused me to collapse on several occasions. I had changed to a different health practice and finally just broke down to the GP about everything (my partner and I had also not been using protection for 2 years so I was also concerned about that). Finally, I felt like someone was listening to me. I was sent for blood tests and an ultrasound scan, which happened to be an eternal one, from that I was diagnosed with PCOS and with ovarian cysts on both ovaries, so from that I was sent for a Laparoscopy (first time I was pulled out as I had a bad reaction to the anaesthetic). The second time I had a dye test done and was supposed to have a cyst removed too, but they found that I was at stage four with endometriosis. 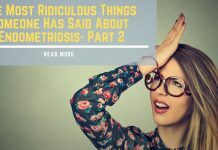 It was everywhere and the surgeon thought it was best to refer me to an endometriosis specialist and didn’t proceed doing anything else because of how severe it was. He wasn’t able to see how far back it went, unfortunately, my tubes are also completely blocked with it so that was sad news to take. I was unable to conceive naturally and that IVF was my only option. I’ve since been assigned to a Mr. Botros who actually runs the endometriosis clinic in the Liverpool women’s hospital, I’ve had one consultation with him and he explained it deep infiltrating endometriosis. He wants to do an MRI so he can see exactly what he’s dealing with before any more surgeries. He also prescribed me Lyrica (pregabalin) that’s on top of the array of medication I’m already taking, Zapain, Mefenamic, Amitriptyline, Nopraxon, Omeprazole, and Docusate. 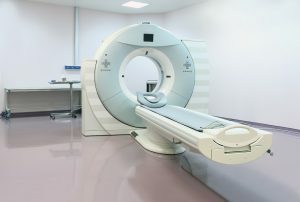 I had my MRI done in December, I hadn’t heard anything so I phoned up his secretary who informed me they no longer send out MRI results as it can be too complex. I was told that the specialist has seen them and now it’s passed on to an MDT coordinator and there will be a meeting with other surgeons to discuss my case. It turns out that I won’t get any further information until my next visit with Mr. Botros which is the 12/3/18 so I’m very anxious, to say the least. I’ve been signed off work now for almost 5 months I have side effects from all the medication, mood swings, weight gain, drowsiness. In addition to that, all the pains every day affects my bladder, my bowels, ovulating, periods, muscles. I bleed a lot from behind too, I’m always seriously constipated and uncomfortable or it’s like I have food poisoning. I’m sick a lot, faint, have chronic fatigue, loss of concentration and I’m always getting viral infections. It feels like your insides and privates are getting electrocuted that’s how I’ve always best described it. Now I’m just so unbelievably fed up! My SSP runs out soon so I’m applying for PIP (got absolutely no idea if I’ll be awarded it or not) so, being financially stressed on top of everything else is just not what I need right now. Fingers crossed! I hope that everything will turn out good! That’s the short story of my endometriosis so far.